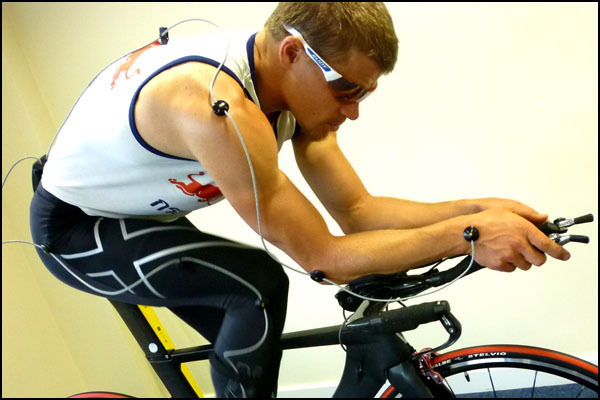 Tuesday the 4th saw Bike Science’s first Retul fittings at Planet X’s brand new HQ in Rotherham. The Rotherham facility is a state of the art Planet X bike showroom with Bike Science Retul fit facility, the only bike company in the UK to offer their customers the worlds most accurate professional bike fit service on site. Our first customers? Britain’s fastest school boy over 10 miles Ryan Mullen (19m45sec at 15 years old!) and Canadian Ironman Pro, Challenge Wanaka winner and Challenge Roth top ten finisher Luke “The Dragster” Dragstra. Both riders visiting Planet X to pick up their 2010 Exocet TT bikes and Nanolight roads. 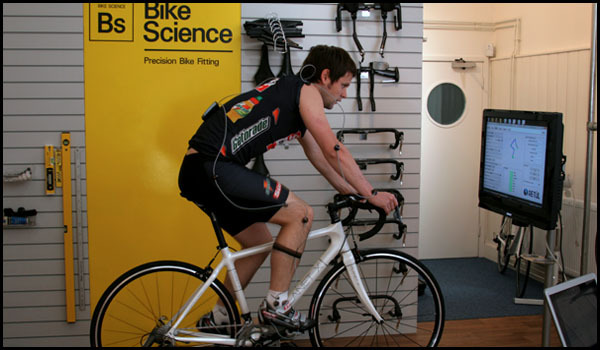 Rotherham Retul fitting service available on the first and third Monday and Tuesday of each month. Bristol fittings available Weds-Saturday each week. BOOK ONLINE NOW. Bike Science Bristol recently had a visit from none other than Gordon Smart, editor of The Sun Newspapers “Bizarre” entertainment column. Gordon’s heading up an intrepid team of ten wannabe triathletes from The Sun including “The Big Man” from Bolton, Radio 1 DJ Vernon Kay. There’s been some serious verbal sparring between the team members so expect to see, Vernon, Gordon and the rest of the team tearing up the tarmac during this years London Triathlon. Gordon and Vernon’s task master, personal trainer James Daly received his Planet X SL Pro Carbon and bike set up as he also prepares to show his understudies who’s the boss on the London course. For information on James’ personal training and coaching services, see HIS WEBSITE. Follow the progress of the team on The Sun Triathlon Team blog pages. Bike Science provide bike fit services to the team, Planet X supply bikes and Chicken Cycle Kit provide Time pedals and LAS helmets.